10" Slatwall heavy duty hooks are used for displaying, hanging every type of merchandise. 3/16" thick with clear plastic label holder, tag slides in. 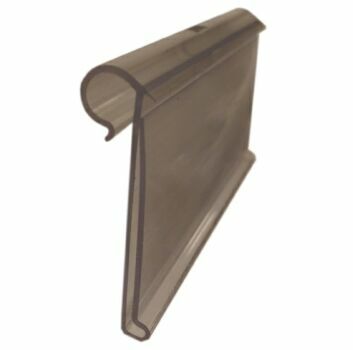 Price: $0.59 ea Item #: SWSCAN10BL Color: black. Standard Pack: 100pcs (sold only in full cases).